In this section you'll find the ready to print invitations matching the themes of our birthday games. They can be used as invitations for the birthday party, table decorations, place cards or thank-you cards. Provided in PDF format you are free to print as many copies as you like. 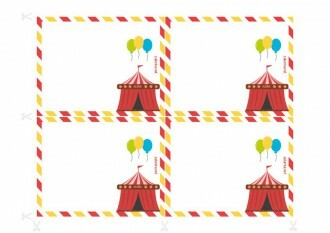 Each document to print includes four cards to cut out on the same theme as the birthday game: Mystery at the circus. They can be used as invitations for the birthday party, table decorations, place cards or thank-you cards. Provided in PDF format you are free to print as many copies as you like. Each document to print includes four cards to cut out on the same theme as the birthday game: Mystery at the Museum. They can be used as invitations for the birthday party, table decorations, place cards or thank-you cards. Provided in PDF format you are free to print as many copies as you like. 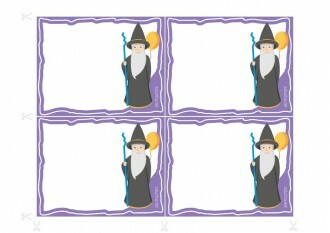 Each document to print includes four cards to cut out on the same theme as the birthday game: Linus the Magician. They can be used as invitations for the birthday party, table decorations, place cards or thank-you cards. Provided in PDF format you are free to print as many copies as you like. 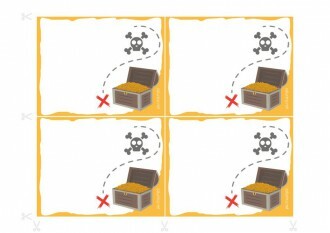 Each document to print includes four cards to cut out on the same theme as the birthday game: The pirate council. They can be used as invitations for the birthday party, table decorations, place cards or thank-you cards. Provided in PDF format you are free to print as many copies as you like. 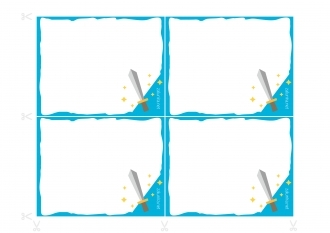 Each document to print includes four cards to cut out on the same theme as the birthday game: Mystery at the Round Table. They can be used as invitations for the birthday party, table decorations, place cards or thank-you cards. Provided in PDF format you are free to print as many copies as you like.